Last weekend we headed to the PlayStation Family Event in London to discover and play a host of cool PlayStation Games. 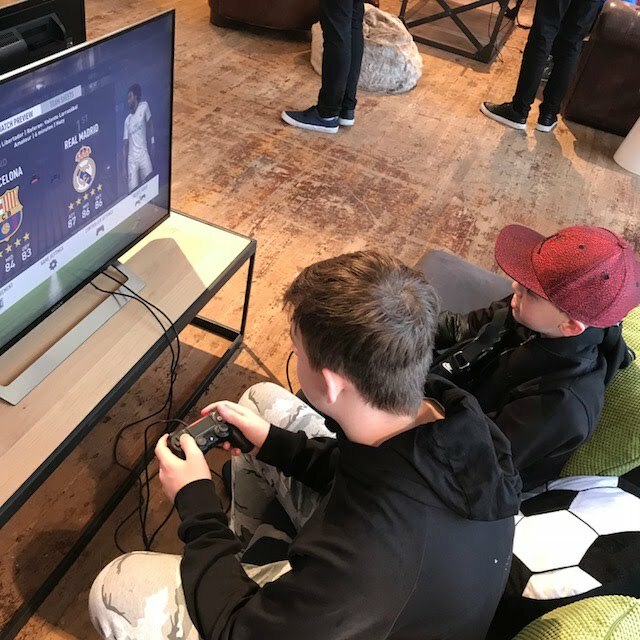 The boys couldn't wait to put their gaming skills to the test and most defiantly loved the New PS4 FIFA 18 game. 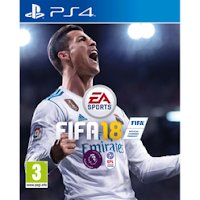 FIFA 18 brings to life players and teams and allow you to submerge yourself into the world of football, FIFA 18 now introduces Real Player Motion Technology this cool all-new animation feature gives a more realistic responsiveness of gameplay, so football players feel and react exactly like they do on the real pitch. 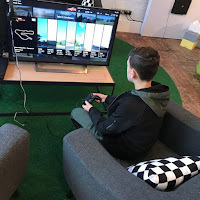 My Eldest has a huge passion for cars so he settled in to test his racing skills with the awesome Grand Turismo Sport exclusive to PlayStation 4, this cool racing game allows you to simulate a cool driving experience and push your driving ability, with amazing cars to choose from and custom with a choice of amazing driving locations, you will defiantly become submerged in the stunning real-life graphics of this game. We also had the opportunity to learn about the cool way of playing games on our PlayStation with the cool PlayLink games, this new way of gaming simply means that all you need to play is the PlayLink compatible game and your smartphone or tablet which connect via wifi, so there's no need for lots of expensive controllers and up to six people can play at any one time. 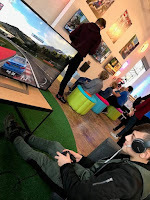 That's You is a game is all about having fun and answering fun and silly questions finding out how well you know each other, the game includes questions and challenges where you can take selfies and change your opponents looks you can also share your efforts via social media.There are ten different locations to explore in That's You, all inspired by classic road trip movies. 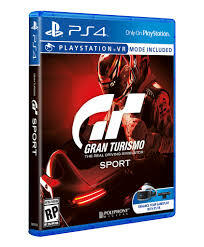 That's You is variable to download for free for PS Plus members or can be purchased for £15.99. 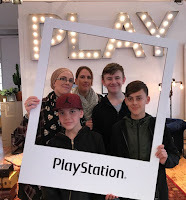 If you would like more information on how to get into gaming, yet stay safe and have fun check out writer, comedian and TV presenter Ellie Gibson's Parents Guide To PlayStation. 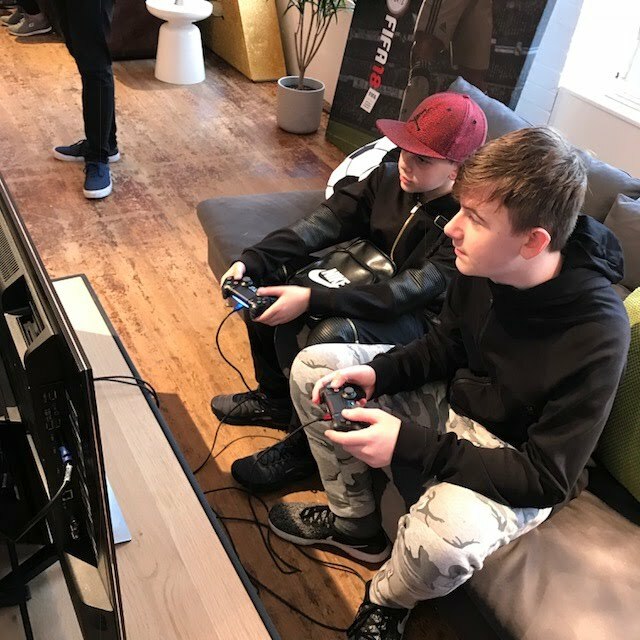 Thank You PlayStation for such an amazing morning.